Those are just a few of the words that described the first 15 weeks of my pregnancy this time around. I've shared my journey of miscarriage from the very beginning & even though I am pregnant again, my prayer is that I can still continue to be a voice & hopefully help someone who has went through the same thing. Most of the time, when a woman gets pregnant, she is over the moon excited. I know, I've been there three times before ... nothing could steal that joy from me. Or at least I thought. I never dreamed a different emotion could take the place of that feeling. On July 17th of this year, when I took a pregnancy test & it came back positive, my first thought was "I don't want to lose this baby." Not "Oh my goodness, yay!! I'm PREGNANT!!" I cried. I cried out to God begging Him to let me keep this baby because I wanted it so bad. If you've never lost a baby, you may not understand & that's ok. I don't expect you to. It's ok if you are thinking "how in the world can you not be happy??" It's not that I wasn't happy because trust me, I was. I was just terrified more than anything & it took total control over me. So much to the point that I had to talk to my doctor about it ... which is always, always, ALWAYS an ok thing to do. That's what they are there for. She assured me multiple times that the feelings I was having was perfectly normal & gave me a few websites to look up. She wanted to see me every two weeks during my first trimester just so she could keep my mind at ease. She's such an angel. She told me at every appointment that once we started hearing the heartbeat, if I ever just wanted to come in & listen, she would let me. As if my own feelings weren't bad enough, at 14 weeks pregnant we had a little scare. Not to mention that was about the same exact time I lost Ruthie Belle. I was sitting downstairs & my back started hurting so bad, the same kind of hurt I had in my previous pregnancy that got me to the doctor. I immediately sent my doctor a message. I walked upstairs to Dan, sat down on my bed & started crying. He had no idea what was going on & then I said "I feel like I'm reliving my worst nightmare." It wasn't 10 minutes & my doctor messaged me back with an appointment. She wanted to see me right away. Dan & I headed to my doctor's office. It was the quietest car ride ever. We got there, my nurse took me back & a few minutes later my doctor came in. The very first thing she said was "before we talk about anything, we are going to listen for the heartbeat & if we can't hear it, we will do an ultrasound." My baby's sweet heart beating was music to my ears. I remember having feelings of "what if I lose this baby too? What if I have to tell my children that another baby went to Heaven? Can my heart take that heartache again?" For weeks & weeks when I would go to the bathroom I would be afraid to wipe because I just knew there would be blood. I sat Dan down & explained to him the thoughts that were going on in my head about losing this baby. I remember looking at him, crying, pouring my heart out & telling him that I was terrified to get too attached to this baby because I just know how fast he/she could be taken away from me. Would these feelings ever go away?!? Would I ever be able to get attached to this precious baby that God has blessed us with? What if I fall in love with this baby like I do every pregnancy & it gets taken away from me? Would I go throughout my entire pregnancy being fearful? I've talked about my mama a lot, she's always the one I can go to if I need advice or prayer. I guess you could say she's not only my mama & best friend but also my prayer partner. One day I called her & told her how I was feeling. The very first thing she said to me was "Whitney, you have to trust God. You have to put your pregnancy in His hands. He got you through the most heartbreaking time of your life when you lost Ruthie Belle & has blessed you with another baby. Trust Him. He already knows how your pregnancy is going to go." I needed those words & maybe you do too. I lived 10 weeks of my pregnancy in fear. And for what?? God has known longer than I could ever imagine how this pregnancy is going to go. My fear will not stop anything from happening. I should know that. I wish I would've handed this pregnancy over to God at the very beginning. Not held onto it just in case He needed "my help." Clearly that's not how it works. That's NOT how God works. He wants us to trust Him completely. Since week 16 I have felt this precious baby move around inside of me & every week the kicks get stronger. While that assurance is so sweet, I really need to rest in the assurance that Jesus has a plan for my life & this baby's life. 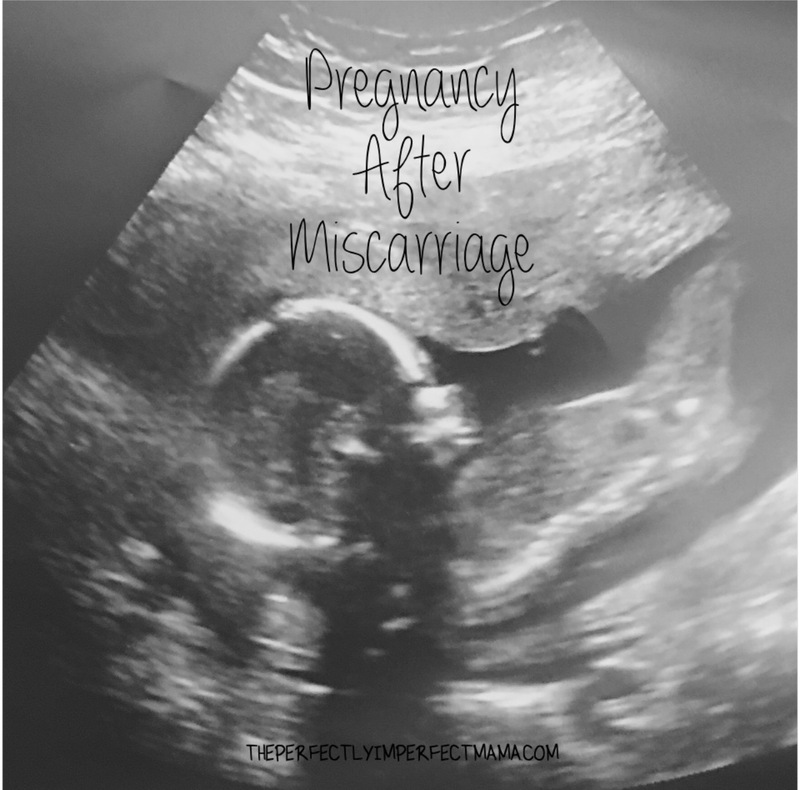 If you've ever had a miscarriage & you're trying to get pregnant or are pregnant again already & you are terrified, know that you are not alone. I have been there. And know that I am praying for you. If you have any questions at all, if you need someone to talk to or pray with, email me. Maybe it's not you going through this specific heartache but someone you know, tell them to email me. I would love to pray for them.